We are professional organic fruit juice manufacturers providing natural and cloudy juice products across the whole UK as well as Europe. Our company possess a long year experience in producing natural, freshly squeezed juices. 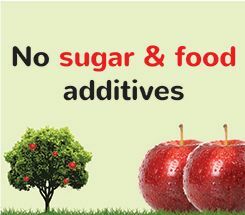 The products we offer are 100% natural, are sugar free and have no concentrates or food additives. Our company is located in Poland, but provide the export within whole Europe including East Europe (particularly Russia), West Europe, North Europe and South Europe. We produce 100% fresh fruit juices that are always stored in special fruit freezers to keep them cool and ensure that they will be delivered fresh. We only use the latest juice extracting and producing methods as well as the most exerienced specialists who supervise the entire process of choosing the right fruits and the production of the juice. 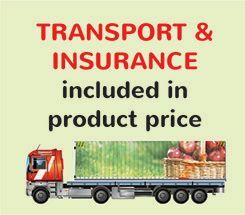 Our business is fully insured and offer free product transport within the whole UK and EU. All our products fulfill the most restrictive EU and world norms which is warranted by the certificates we possess. 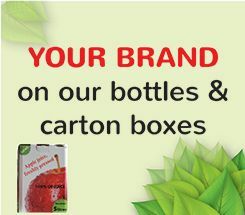 Our company deliver best quality apple juices, but also apple with aronia, apple with strawberry and apple with raspberry juices throughout the whole UK. We invite you to contact us in case of any questions.